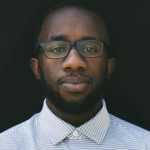 Rashard Barnes writes about seeing Biblical justice as a way collegiate leaders can reach and disciple those in a cause-oriented generation. Many would say Millennials are the most cause-oriented generation that has ever existed. Early signs indicate that Gen Z will give them a strong run for their money. In fact, there is a 5K race for almost every cause known to humanity. Just type 5K race into google, and you find a run with a cause. Seriously, look it up! The reason that I bring this up is that many students on your campuses are seeing non-christian organizations around them excel in caring for the needs in your local context. In fact, due to this obvious orientation to serve others, students sometimes choose joining those organizations over getting involved in your ministry. That was my experience, anyway. These students want their lives to matter. They want to be connected to a cause. By getting involved in these cause-oriented initiatives, the students on your campus are indicating they believe in something bigger than themselves. In fact, to want to be connected to a cause bigger than ourselves is to be human. So the question is then, what if you took advantage of this common desire? In church tradition, there has been much banter surrounding the topic of justice. Some have concluded that Christians need to stick to evangelism and discipleship. We need to stick only to the proclamation of the Gospel. I am not going to argue with you here. We need to disciple and evangelize the campus. That is a must. But does your campus know that God loves them? I would reason that while many of the students are familiar with the church and they know that Jesus was a part of healing and standing with the marginalized, they aren’t convinced that is what “the church” is really about these days. Before we move on, I know what many of you are thinking, ”Here he goes with another social justice talk…” However, I would contend there is a difference between biblical justice and social justice. Social justice is to be about a cause for the sake of the cause. It’s challenging injustice and valuing people. This sounds great, but as we all know, this idea is vague because many people arrive at different conclusions on what exactly constitutes justice. In contrast to social justice, biblical justice is rooted in God’s character, nature, and eternal plan. Biblical justice results from being made in the image of God. To be made in the image of God is to reflect God in every way. God is holy, righteous, faithful, kind, and just. These are things that Jesus was presenting to God’s people in the New Testament. Is your ministry doing that? Is it giving people a foretaste of the kingdom? When we grapple with the incarnation, we don’t see Jesus trying to win favor with the powerful, but instead, with those in the margins. In Mark 1, Jesus announces that that kingdom of God is here. With that, Jesus begins his ministry by loving the poor, the unwed, broken teenagers, and people that have been abused by the dominant culture. In the margin is exactly the place where Jesus chose to locate himself. If we are to follow Jesus’ example in this, I ask these questions: How is your ministry operating on the margins? Are you discipling on the margins or recycling already believers? As we notice in Jesus’ ministry, he did not back down on evangelism nor did he back down on discipleship; instead, he evangelized and made disciples right where he was — in the margin. So I bring this up for you to consider, how are you incorporating serving the needs of your community and campus into the life of your ministry? Give your students a robust understanding of what it means to be a fully devoted follower of Jesus. God has designed the emerging generation to love justice. Are you taking advantage of the set-up God gave you to reach this generation? I want to leave things here. As Christians, we partner in biblical justice for two reasons, to love our neighbor and to share Christ with others. But let’s not get it twisted. Our mission is not to be about the cause of the day, but to be about the cause of Christ in our day. The end goal of justice is to see lives changed by Christ so they can, in turn, worship Christ.